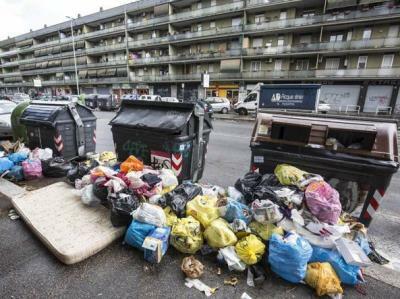 ROME – The auxiliary bishop to Rome Paolo Lojudice has bemoaned the state of the Eternal City, branding it one “invaded by waste” in a broadcast by Vatican Radio Italy, Il Messaggero reports. “I ask myself, as a simple citizen, the simple question: how come a big city can’t solve the waste problem?” Lojudice said on Friday, heavily criticising the city’s administration for its inability to effectively collect rubbish. The bishop went on to suggest that Rome’s residents are “embittered, dejected” by the city’s failings. The ‘Rome says: enough’ demonstration at the Campidoglio on Oct. 27 was, in his eyes, was a “positive act,” particularly because it did not turn violent.